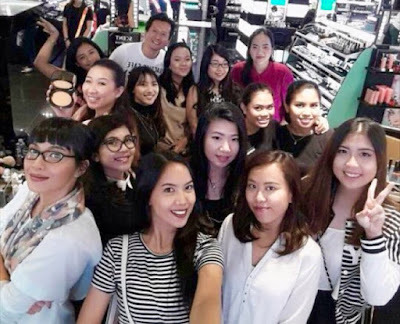 After those two competition, Sephora made another one with the prize that the choosen people will get a chance to do a review at sephora. so i guess why not? and i took the chance and thank God i got choosen as one of the beauty influencers to do a review. but the next saturday was the second one. and i finally made it to 'MARC JACOBS' review. 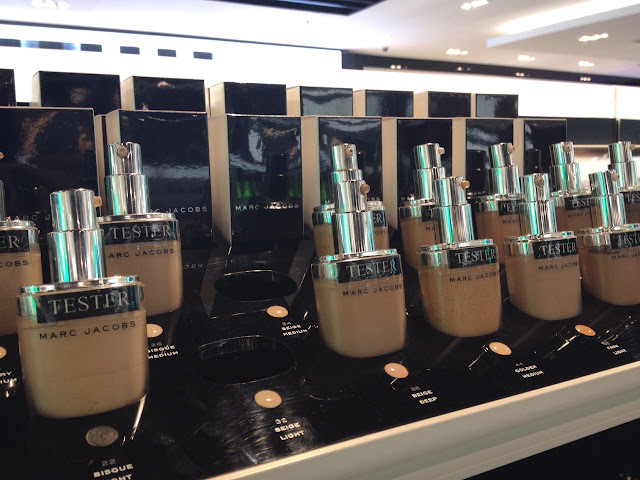 - the name is 'GENIUS GEL FOUNDATION' which is a gel type of foundation. 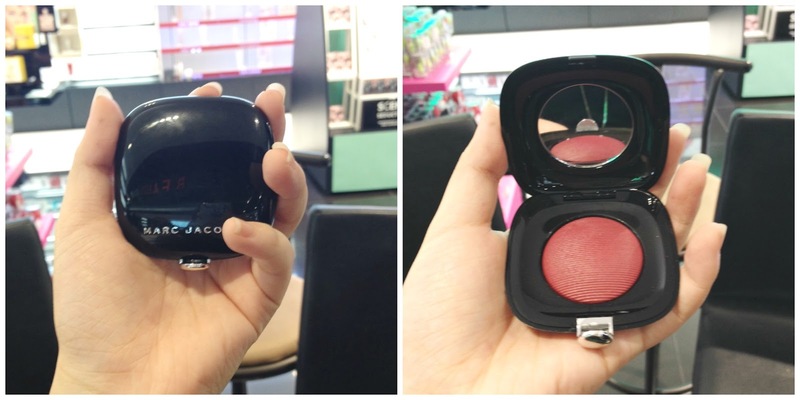 its not sticky, not oily, and it gives a dewy look. it it weightless so you won't feel cakey. it covers well and your skin will end up like you're not wearing anything on your face. 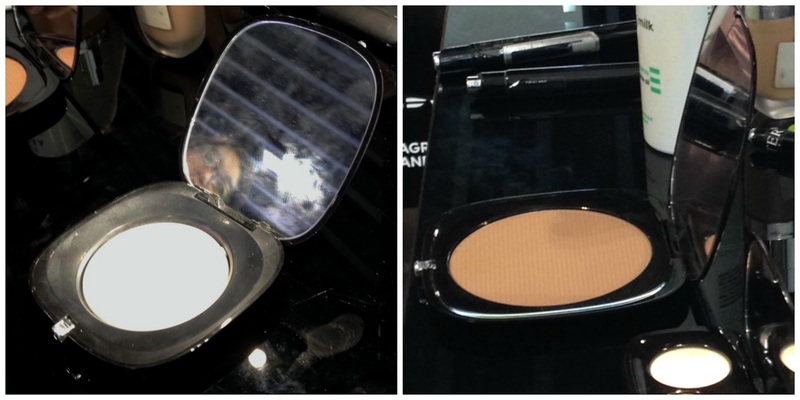 - this omega bronzer give such a light natural shadow to your face so you can build up as dark as you want. 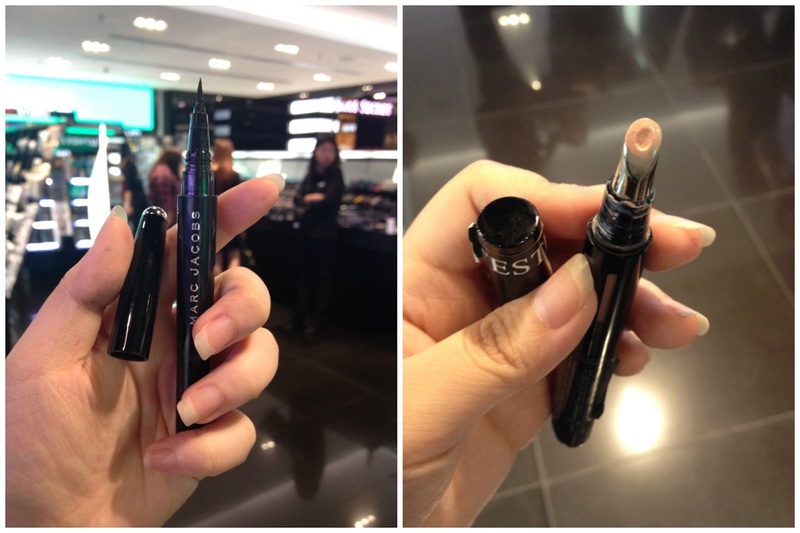 - inspired from chinese calligraphy, this eyeliner gives a thin line and its waterproof and dry quickly. - the concealer has just perfect coverage. with the metal wand, it gives your eyes that calming sensation. - the lipstick is semi matte and perfect for everyday look. the color is super pigmented with just a little dab. 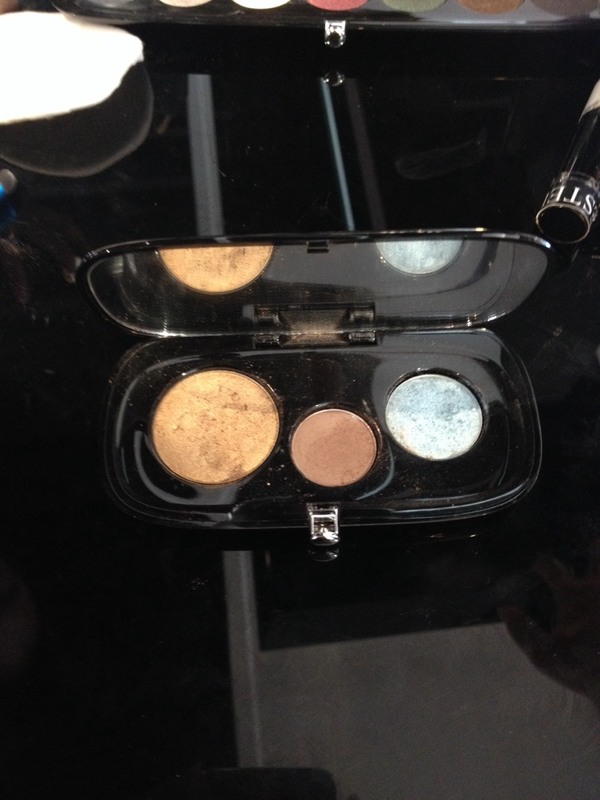 the matte taupe brown color in the middle can be used for eyebrow too. so this is a before and after picture. makeup by one of sephora's makeup artist. all using the product from MARC JACOBS BEAUTY. 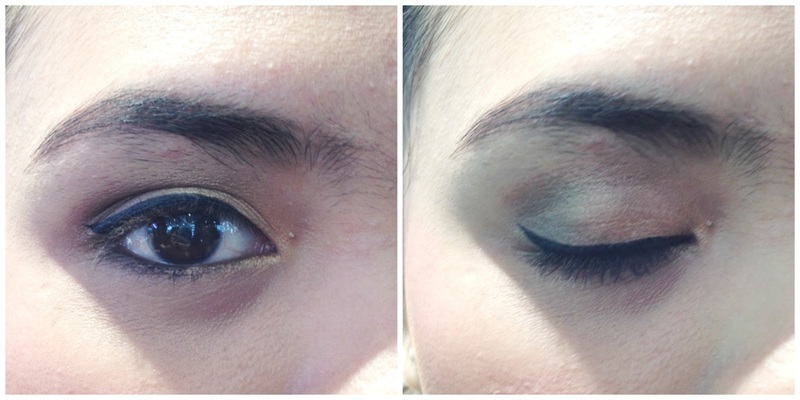 the close up look for the eye makeup. - upper lash line using liquid liner. 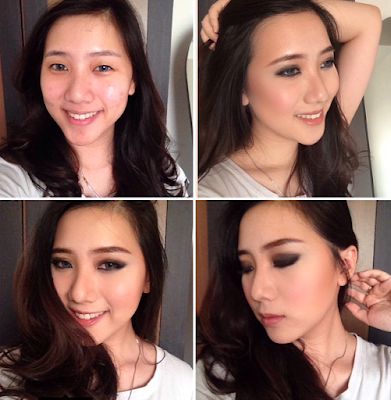 - lower waterline using a smudge able black pencil liner. 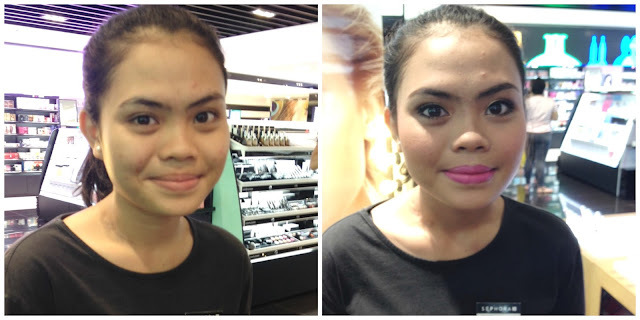 meet Dea, whom i met at sephora. 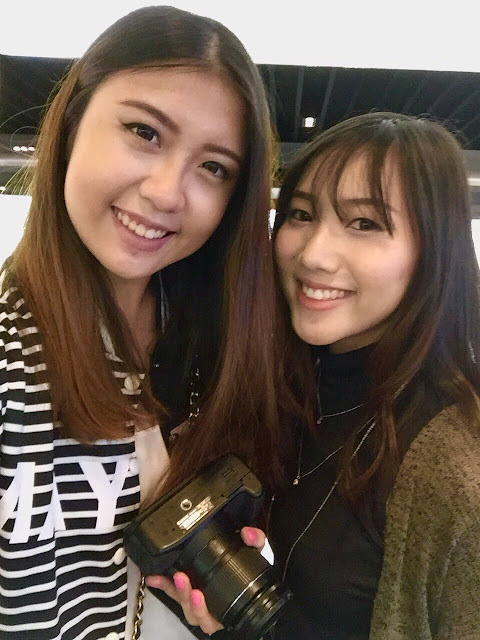 she is one of the beauty blogger that got chosen for this event. see you guys next event! 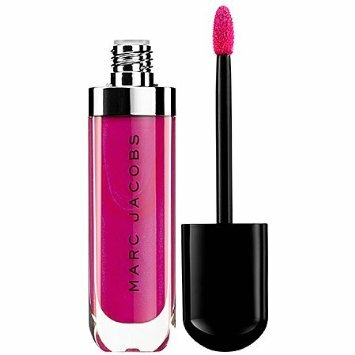 so that is all my review about MARC JACOBS product. feel free to ask if you have any question and leave a comment below which product that you would like to try. see you on my next post.